Durable Smyth-sewn binding allows pages to lay flatter. 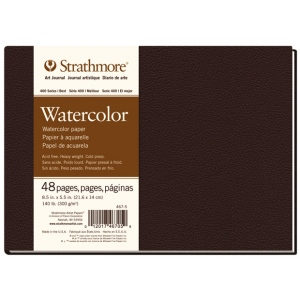 * Sophisticated look with lightly textured matte cover in dark chocolate brown. 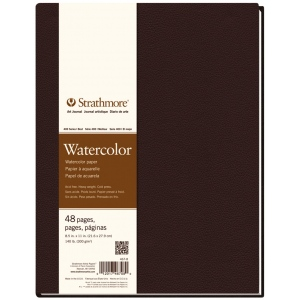 * Intermediate grade watercolor paper has a strong surface for watercolor gouache and acrylic. * Natural white cold press surface allows for fine and even washes as well as lifting and scraping applications.